Yesterday was an exciting day for us. It was the last day of Senior Kindergarten for my oldest son, which also marked the first official day of Summer. It is often said that ‘All I Really Need To Know I Learned In Kindergarten’ and we believe this. Kindergarten is where you meet your first friends, learn the basics and develop independence. Such important milestones. Now, as we head into a 2 month break we are looking forward to taking the boys on road trips and teaching them about new destinations. Summer is a great time to grow, learn new skills and visit places you have never been to. Learning to swim? Learning to ride a bike? Learning to fish? 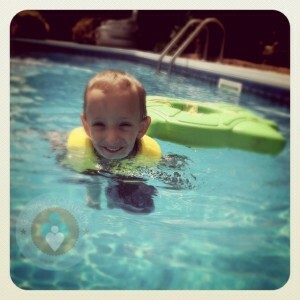 What will your child’s milestones be this Summer? In January my family was chosen to be part of Fisher-Price’s play team. On FisherPricePlay.ca we share our play tips, our experiences and help other Moms pick the perfect products and toys for their children. When you register at FisherPricePlay.ca, you’ll be entered for a chance to win a “Celebrating Milestones” prize pack of Fisher-Price® toys valued at $200, plus a spa gift card valued at $200! Best of all there’s a prize every month!